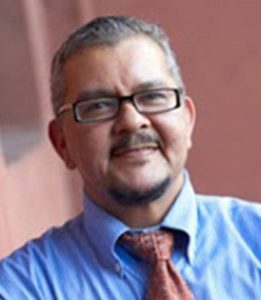 Diego Miguel Sanchez, APR will deliver Saturday’s keynote. He is the Director of Advocacy, Policy & Partnerships for PFLAG – the national organization committed to advancing equality through its mission of support, education, and advocacy, uniting people who are lesbian, gay, bisexual, transgender, and queer (LGBTQ) with families, friends, and allies. He spoke with guest blogger, Nathan Tabak about attending Gender Odyssey this year. What are you presenting at Gender Odyssey this year? “Commanding our lives in these times.” I plan to speak truth to power through the lens of work and life across intersections and time. What would you like attendees of your presentation to come away with? I hope people feel inspired, empowered, included, informed, supported and loved. How has your background on Capitol Hill prepared you for the current political climate? I worked there when progressives were in charge, and I worked there when they were not. Being the first openly transgender senior staffer to work on Capitol Hill as Rep. Barney Frank’s Senior Policy Advisor until his retirement was a blessing. I improved skills on how to navigate battlefields and minefields with focus, respect, honesty, dignity and as much success as possible, as quickly as possible. I had the good fortune of being a staffer who got to work on issues and bills that I had advocated for as an openly trans Latinx man. These include the trans-inclusive Matthew Shepard and James Byrd, Jr. Hate Crimes Prevention Act – our country’s first fully inclusive law; the Violence Against Women’s Act – our country’s second fully inclusive law, the repeal of Don’t Ask, Don’t Tell, The LGBT-inclusive Affordable Care Act – for which I was able to draft language, and even when progressives were not in charge, a veterans’ bill, The Corey Shea Act, that allows parents to be buried with their veteran child in a National Cemetery if there is room in the 4-person burial plot. Being on the Hill let me hear thousands of people’s stories of challenge and victory, and it also gave me a chance to invite federal legislators and their staff members to ask me questions that they hadn’t known quite how to pose. In my remarks on Saturday, I will tell a story about this, but I don’t want to spoil the surprise. Increased visibility brings both advantages and risks. While some will embrace us because we make ourselves known, others take license to do us harm. Also, visibility invariably means that some people or kinds of people will be more visible than others. Just think about how the nation responded after the massacre in Orlando at Pulse. We have the special opportunity to celebrate all of us, whoever and however we are. I think that decades ago, we could draw the map of trans lives at a beach using one finger and sand with maybe a sand castle here and there. Today, for trans and gender expansive lives to be illustrated, it would be three-dimensional and include rich, full, moving kaleidoscopic colors across planes. I’m lucky enough to have been part of the finger-on-sand drawing generation and still able to watch and be part of generations of trans and gender expansive people who follow with all of their tremendous expressions to shape themselves to their satisfaction in broad daylight. Remembering who we are amidst the friction and turmoil will make us stronger and better than ever, hopefully united and better understood. What’s the most important political issue facing the trans community, and what can the trans community do about it? The most important issue facing the trans and nonbinary community is navigating our lives to gain and keep fair and equal access to the things most others enjoy, starting with safety. Why do words like stigma, discrimination, bigotry, phobia and hate have to fall on the ears of our young siblings? This year, 15 reported trans lives have been taken in our nation, and they are transwomen of color, mostly African-American. Last year’s number of trans murders doubled 2015’s tally. We don’t have the luxury of leisure. How can LGBT elders be erased from the federal aging survey? How can there even be discussion about whether our treasured trans military servicemembers and veterans should be considered anything other than honorable? How can a big school topic be about who uses which restroom? How can school-tested DOJ/DOE guidelines that keep our young people safe be rescinded? And yes, Title IX is still inclusive, and it is the law of the land, so let’s keep reminding people of that. Anyone can file a complaint if an LGBTQ youth is mistreated at school. Remember to #ClaimYourRights via PFLAG National and GLSEN’s Claim Your Rights program. (pflag.org/claimyourrights). Our community takes action to intensify the value of many of our assets — ourselves, our families and our allies. The most important action is not to give up, keep speaking up and always find “Safety First.” Not everyone is in a position or location to be openly disclosed as trans or gender expansive. We must continue to work to build a world where everyone is free to be who they are without reprimand or danger. We must tell our stories, listen to others’, and hear stories from our family members and allies, just as we want them to hear ours. And as we age, we must share lessons where they will be received so that what our community lacks in quantitative data collection and research, we can fill with qualitative research from the hearts, minds, lips and bodies of each other and whoever we classify as our people. What do you personally hope to take away from this year’s conference? I hope to meet new people, see long-time friends, learn lessons to share and be amazed about how far Gender Odyssey has come and grown from its first conference back in the day. While it’s been 16 years, I remember it as if it was yesterday. So much of what we experience is serious; remember to enjoy, smile and laugh all you can, and invite others to join you. This entry was posted in Blog and tagged Activists, GO2017, politics, Spotlight. Bookmark the permalink.